What is this about? : You know this story — and the names within it. 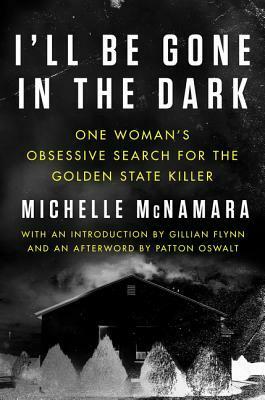 Michelle McNamara died before she could see the Golden State Killer arrested, or this book published. In this she writes about how this case captured her, and why. It’s atmospheric as it describes a different time and the man that terrified people then. Ages ago, I read the true crime account of a harrowing trial in Australia by author Helen Garner. It made me uncomfortable to the extent that Garner put herself in the lives of the families affected by the tragedy, and attended the trial. It’s not to say anything about the book was bad, but is a testament to the power of Garner’s writing and the intimacy she was able to create. I’ll Be Gone in The Dark is something else entirely, but no less an intimate story, a search for answers. 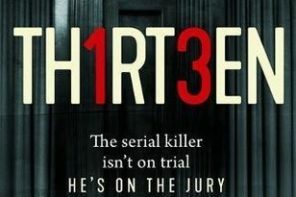 When I first started reading this all I knew about this was that the Golden State Killer (GSK) had been caught, and that the author had passed before seeing that happen. I remember an interview with her husband, Patton Oswalt, saying that she had dubbed the killer the GSK and that this book probably put pressure on the police to make an arrest. The intimacy in this account comes from McNamara’s letting readers into her life as much as she let readers into the case itself and everything she found. She charts a course from the beginning of this case, and the rapes and then murders, never holding back from the brutality of it, but … it’s hard to explain. Knowing that is was a woman delving into this case of violence against women made me cheer her search on in a way. She never invades the victims’ lives, usually relying on past statements to work it into the story. Her descriptions of the times and the suburbs from way back when are vivid and draw you into a much simpler era, which makes the crimes themselves all the more horrific as a result. She charts her discussions with cops from those times, who worked so hard to find the Golden State Killer, and the crime scene techs that took up the cause when the tech changed, and databases were created that made searching for DNA all the simpler.The names of these are words you’ll hear in your favourite cop shows, but the book shares how and why these databases came into existence, changing how crime was fought. It also gives you a better idea of how long cops have been searching for this guy. The other interesting thing is, McNamara herself. In the parts that she writes (most of the book; with the last chapter finished by her colleagues), she lays her obsession bare, describing forgetting her anniversary because something happened with the case, or researching these horrible acts in her daughter’s playroom, or getting that one text about the case that she’s been waiting for in the middle of a premier, or leaving a premier to go home and research, and lie to someone who thinks she’s heading home bc she has a new baby. McNamara doesn’t shy away from that part of her obsession, for it truly was. Why do people do this? Bc they want answers, because it happened in their lives at a time when things like this never happened. 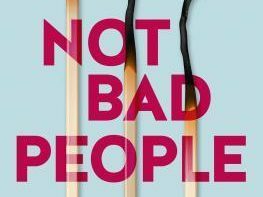 She describes her fellow sleuths online and the lengths to which they go to, and spend money, to be able to compile lists of suspects, with details upon details … and it could all be wrong. But they keep going. It’s an unexpected insight into how the internet changed this sort of sleuthing, and how cops can use the internet sleuths to their advantage. I’ll be Gone in the Dark is the story of how and why this case grabbed McNamara and dragged her down a rabbit hole in order to find the GSK. It’s about how she willingly went down that rabbit hole, and her desire for the truth drove her. I started reading this because of the Audible show I reviewed a couple of months ago, and wondered just why it made me feel off kilter. That show had a culprit to point to, this book doesn’t – and even though the guy was arrested, McNamara didn’t know that. 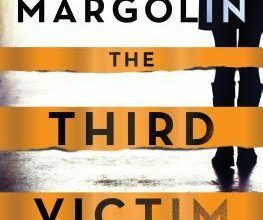 Her desire to find the man was palpable while reading this – every cop and victim statement felt the same way. They have their closure, MM never will. I used to read a lot of true crime books years back when I was a student. I kind of stopped reading them because they were kind of hard going and took forever for me to plough through. Sounds like the author was certainly obsessed with the case! I read and liked this. The order in which things were told sometimes confused me though. Otherwise really interesting. It’s sad that she died before the killer was caught. Maybe her obsession would have faded after the cops got him. I’m glad you liked this book. I’m on an insanely long waitlist for it. Great review! I’ve read articles about her role in the investigation, and I’m particularly interested in the role of online sleuths. 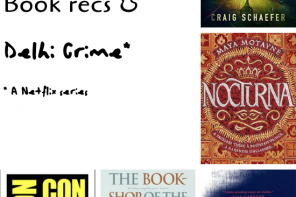 A strange and somewhat morbid hobby…like reading so many fictional books on crime. Guilty as charged. You definitely need to check out the Audible show from the POV of the investigators on the case — but I hear you, a look at the online sleugths would be interesting to say the least! I loved this one. It’s sad that she wasn’t alive to see him caught. I actually read the book a month or so before he WAS caught, so it was even creepier in that regard…knowing he could still be out there. I think the book was really well written and I liked that MM included details about her own life and the murder that happened when she was younger, kind of explaining her need to figure out unsolved murders. I enjoyed learning about what drove her in this book to work on this case, though it might have taken me awhile to say that lol I was amazed at how they did end up catching up right on the heels of this book too. This just won best nonfiction book on Goodreads. Sounds like its deserving of the win. I just reviewed this book this week also, even though I read it back in March, not too long before he was caught. I love your review, and agree with so much of it. I wish she would have lived to see him captured, I feel like the research alone took its toll on her, what with the trouble sleeping and all. I think you’re right, the lack of sleep etc could’ve definitely taken such a toll on her. But she was so driven too and I admired that. Yes, she was incredibly driven, I agree. And lacking sleep because of the nightmares/being unable to sleep in general, so then she took sleeping pills…it is all so sad and frustrating. I think she was a talented writer and it is unfortunate that we will never get to read any other work she might have done in the future.